Old village with 3,200 inhabitants on the road No. 33, on the right side of the river Tisza, 9 km from Tiszafüred. 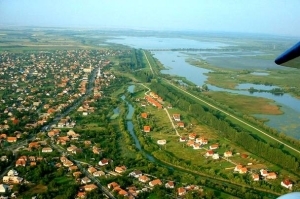 One of its main attractions is Lake Tisza, which offers excellent recreation for lovers of water sports, bathers, fishermen, hunters, lovers of river tours. The Bird reserve of the lake, which is part of the World heritage, can be visited by taking part in organized tours starting from the port. Within the framework of village tourism more and more accommodation facilities are offered to the visitors. Peasant culture at the beginning of the 19th century is displayed in the House of Regional Traditions. The ancient tools of fishing are also shown in the house. 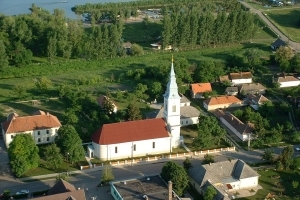 Sights include the Calvinist church, the Roman Catholic church, the Village Hall, the Regional Village Museum, the mansion of the Graefl family. 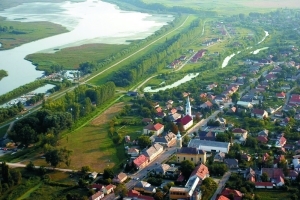 From 2005 the village offers a unique attraction, the study path at Lake Tisza, which presents the wildlife of the lake to the visitors. On the wooden paths you can get to two bird-watching spots and a 12m high tower in beautiful environment providing unforgettable experiences. The construction of the central building of the Ecological Centre will be finished by 2010, where a 3D movie theatre, a huge aquarium, a forest school and a handcrafts yard are to be built.